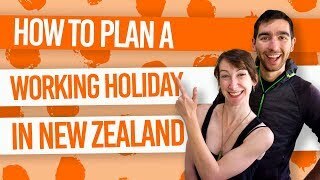 New Zealand wine Tours you Can’t miss! If you’ve ever sipped on a New Zealand Sauvignon Blanc or a Pinot Noir, then you know that the wine in New Zealand is something to get excited about! New Zealand is a top “New World” wine-making country producing 285 million litres of wine in 2017 alone. New Zealand has 10 wine regions, most of a maritime cool climate. Tasting New Zealand’s wines is only scratching the surface of the enjoyment of wines. 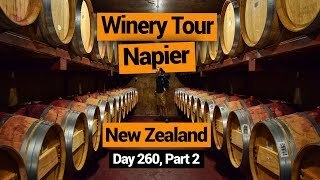 Embarking on one of the wine tours in New Zealand is a great way to immerse yourself in the history, techniques, aromas and tastes of New Zealand wine. So learn what makes Marlborough’s Savignon Blanc so special or taste a full-bodied merlot in Hawke’s Bay on one of New Zealand’s excellent wine tours! Marlborough on the South Island is New Zealand’s largest and most famous wine region so unsurprisingly it tops our list when it comes to wine tours in New Zealand! While many options exist to experience the cellar doors of Marlborough, we recommend trying out a winery bike tour! Take a guided tour with an expert guide who can find wineries to suit your tastes, or hire a bike and pick up a Marlborough Wine Bike Trail map from any bike hire or information centre. The weather is consistently sunny in Marlborough, making a bike ride a pleasant way to go from vineyard to vineyard while avoiding drinking and driving. Tour operators: Explore Marlborough, BIKE2WINE and Wine Tours by Bike. Imagine not just an island escape, but an escape to an island full of wine! Waiheke Island is just that, being only a 45-minute ferry ride from downtown Auckland. The island has more than 20 wineries. However, they are spread far and wide so the best way to make the most of them is to join a guided tour. You’re guide will take you in a shuttle from winery to winery so you don’t need to worry about the driving. Plus, there’s likely to be a few foodie places thrown in there too! See more ways to enjoy the island in 9 Glorious Things to Do on Waiheke Island. Tour Operators: Waiheke Wine Tours, Wai Tiki Tours, Enjoi and Ananda Tours. This North Island region is New Zealand’s oldest wine region, so a wine tour around Hawke’s Bay often includes some fascinating history. If you like red wines, Hawke’s Bay is your place with the region producing 88% of New Zealand’s red wine grapes. With around 72 wineries in fairly close proximity, bike tours are a great option. 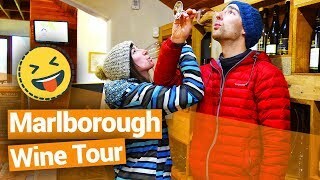 Nevertheless, to get a little further afield, and to burn a little less energy, there are plenty of wine tours by shuttle to take advantage of too! Tour Operators: On Yer Bike Hawke’s Bay and Bike About Tours. If you’re more of an independent soul, then a self-guided winery tour by bike in Queenstown is the way to go! 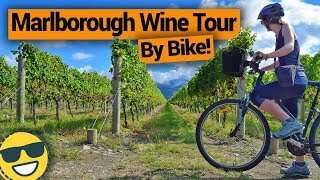 The Gibbston Valley wineries in the Otago region are well connected with stunning riverside bike trails so it’s really worth making a day out of the experience. Bike tours in Queenstown often include transport at the beginning and end of your ride, as well as advice on where to bike to depending on your tastes. 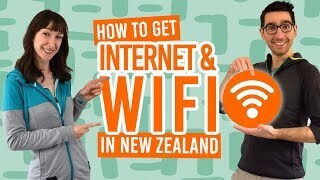 See here for more things to do in Queenstown. Tour Operators: Fork & Pedal, Around the Basin Bike Tours, and the Gibbston Valley Bike Centre. The Wairarapa, or more specifically, Martinborough is a renowned New Zealand wine region just over an hour’s drive from Wellington. The sleepy rural town now has an international reputation for its wines. Visit several vineyards and unmissable eateries on Martinborough wine tours. You’ll meet the families behind the wineries, see how working wineries operate, and, of course, taste some delicious wines and gourmet food. Location: Tranzit Gourmet Wine Tour and Martinborough Wine Tours. We’ve already mentioned the fantastic bike tours in Marlborough, but as a wine region on most foodies’ bucket lists when they come to New Zealand, we can’t neglect the other options to experience Marlborough wine. To get to those wineries that are further afield, have a designated driver, and expert advice from a local guide, take one of the shuttle wine tours available in the region. Tours usually depart from Picton or Blenheim, while guides can usually pick you up right from your accommodation. Location: Sounds Connection, Explore Marlborough, Marlborough Wine Tours, Bubbly Grape Wine Tours, Highlight Wine Tours, and Marlborough Tour Company. Another great base to for discovering Central Otago wines is in Wanaka. On top of that, wine tours in Wanaka can be experienced in diverse ways: a Maori culture spin on wine tasting, visiting vineyards by vintage French cars, and even winery hopping by trike! You’ll get to experience the tastes of Central Otago in a unique way, all with stunning mountain and lake vistas. Check out 10 Wanaka Must-Dos for more things to do in the area. Tour Operators: Wanaka Wine Tours, Funny French Cars, WanaHaka, Wanaka Trike and Wined. Nelson in the South Island is a foodie’s paradise. Among the fruit orchards, craft beer breweries, distilleries, eateries and art scene are the vineyards and cellar doors of Nelson. In fact, there are 23 cellar doors to visit in this sunny region! See a handful of the best on a Nelson winery tour where you guides will drive you to a mix of Nelson’s interesting food, drink and art establishments. Find out more in our 23 Nelson Wineries on the Nelson Wine Trail. 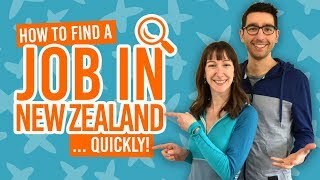 Tour Operators: Bay Tours Nelson, Wine, Art and Wilderness Nelson Tours, Nelson Tours and Travel, and Vintage Wine Tours. Cycle or be shuttled around the contagiously laid-back region of Gisborne on the east coast of the North Island. Taste some sensational white wines, as the region largely produces Chardonnay, Chenin Blanc, Gewürztraminer and Riesling. A tour around the Gisborne wine region also includes plenty of local food to try! See more things to do in Gisborne in our 10 Must Dos In Gisborne. Location: Tairawhiti Tours, Cycle Gisborne, and Archer Tours. Head north in the Auckland region and you’ll start to notice the fertile lands planted with rows and rows of vines. Driving tours of the region will take you to the wine sub-regions of Kumeu, Huapai, Waimauku and Matakana where you’ll immerse not only in the wine culture but the food culture too! Learn more about the Auckland region in Auckland Region – Guide for Backpackers. Tour Operators: Barry’s Wine Tours, NZ Wine Pro, Bush and Beach, Auckland Wine Trail Tours, Matakana Tours and Fine Wine Tours.